THIS month’s independence anniversary celebrations in Port Moresby, which were launched at Boroko, on Friday, would reach out to people living with disability and illnesses, says Governor Powes Parkop. 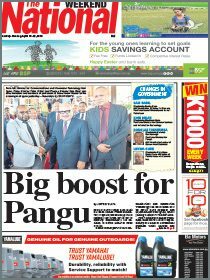 Parkop said turning 43 would be a milestone for Papua New Guinea’s move towards a modern society and people should therefore be thankful for the challenges, changes and developments achieved so far. “Some of our friends and family members might be lucky to reside as citizens in overseas countries due to job requirements, but for us we have this privilege to honour our country with pride because this is our land,” Parkop said. Parkop said Boroko was changing “without our expectation of how it will happen. If we continue to take responsibility, we will change the city for good. Parkop said there would be several provincial events on Sept 14 and 15. “But on the 16th, we must put away all provincial flags and raise one flag – only the red, black and white – to signify unity and oneness. 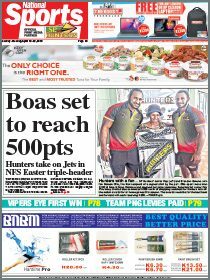 The launch on Friday was at Tabari Place in Boroko and it saw people turning up in numbers. Students from Coronation Primary School accompanied Parkop in the ribbon cutting. Several performers featured, including a circus from Argentina, bamboo band dancers from Bougainville, Koki acrobatics dancers and other items from the Active City Development programme.